Why be greedy with your glasses when you can share the love? With our bulk pack of glasses not only are you saving money, but you’re also getting the best diffraction glasses on the market today! All of your friends will be seeing rainbows for this low price! As always, our glasses feature industry leading diffraction effects and top notch quality you cannot match anywhere! Read more about these stylish White Standard Diffraction Glasses. 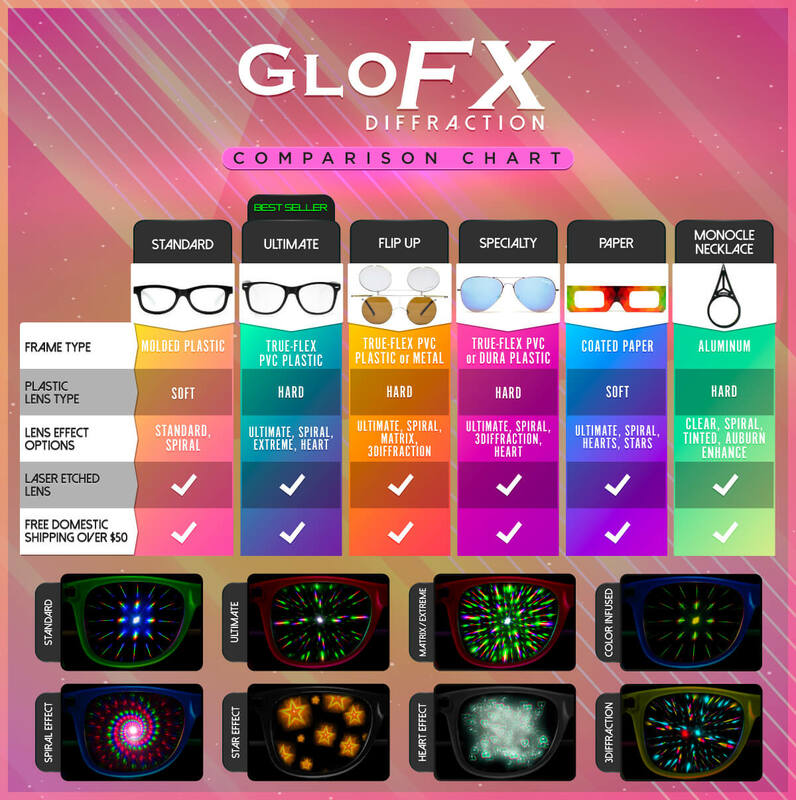 Trust your diffraction expertise to GloFX for the highest quality Diffraction Glasses, Luminescence Glasses, 3Diffraction Glasses, and Kaleidoscope Glasses around! All of our glasses are backed by our GloFX 100% Satisfaction Guarantee and always covered under our Lifetime Limited Warranty! We are the original light diffraction glasses! Really cool. I got these for me and a bunch of buddies for our last festival. Super cheap after we all pitched in. Not even bummed that not a single of us made it out with our glasses. On the lookout for my next pair.